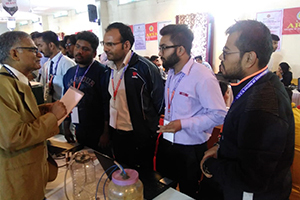 A regional convention of 2nd AICTE-ECI-ISTE Chhatra Vishwakarma Awards 2018 was organized by ALL INDIA COUNCIL FOR TECHNICAL EDUCATION (AICTE), North Western Regional Office, Chandigarh on 13th Nov 2018 at Arya College Of Engineering & IT, Kukkas, Jaipur. 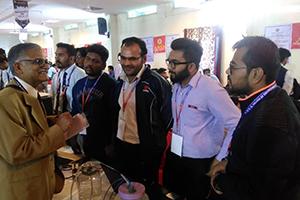 AICTE invited the shortlisted teams to present their work in an event at ARYA college of engineering, Kukas, Jaipur on 13 Nov 18. 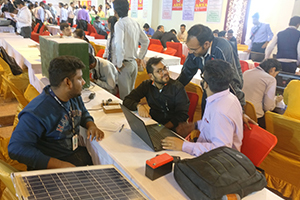 The event was organized at the seminar hall of the college. The event was started with the speech given by Dr. Prashant kumar, Dr. Manu Gupta, Dr. Yogesh, R K Jhanjhariya, Dr. Upendra. The chief guest Dr,S S Pabla also delivered his precious words to students. He congratulated students for being shortlisted and shared his life experiences with the students. Refreshment was also provided to the dignitaries, participants and volunteers by the organizers. 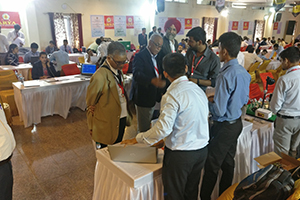 After the refreshment, the evaluation of all the projects was done by the judges and jury members of AICTE. 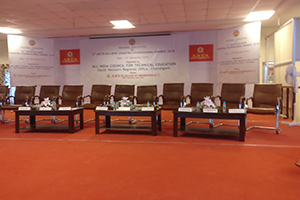 At last the vice chancellor of Bharat skill development University The chief guest ,Dr.S S Pabla announced the results. 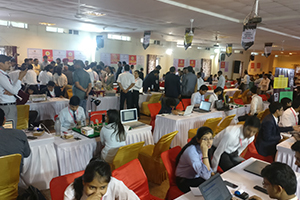 Out of 78 projects present over there, only 15 from different categories were shortlisted for the next round of the competition to be held at Delhi within few weeks.